Karen leads you through organic heirloom tomato growing, from seed sowing to feeding, pruning and training. She outlines a variety of ways to grow and helps you keep problems at bay with an extensive illustrated pest and disease section. Penny explains how to breed your own heirloom tomatoes. She also tells us why a red tomato is red and describes in detail, more than 220 heirloom tomatoes that can be sourced in Australia today. 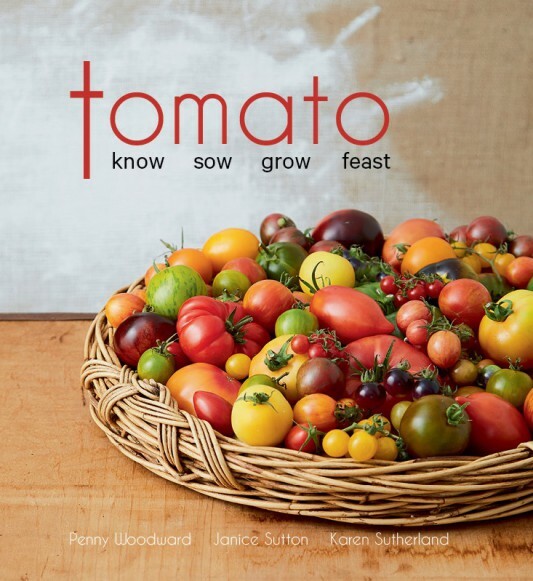 Janice explores the diverse range of heirloom tomato flavours, tells how to select, prepare, preserve and cook, and shares delicious tomato recipes from renowned chefs and passionate tomato lovers throughout Australia!